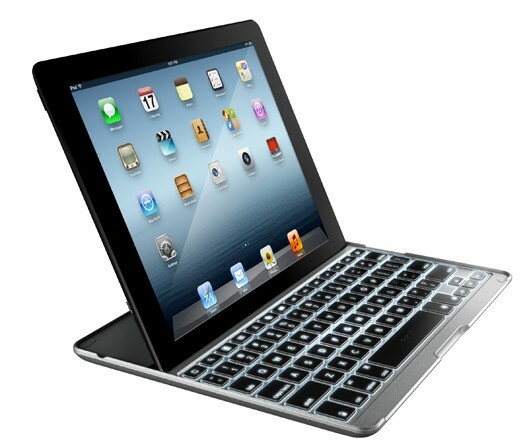 ZAGG has announced at IFA that it is launching a couple of new iPad keyboards. The new keyboards are called the ZAGGkeys PRO and there is also a PRO Plus model launching. The PRO Plus with backlit keyboard is pictured below. Both keyboards are bluetooth and are classed as being ultra-thin by ZAGG. Both use a magnetic closure that holds the iPad in place while stowed away. The iPad sits inside the keyboard enclosure which protects the screen. The backlights on the PRO Plus are optional, meaning you can switch them on if you are using the iPad and keyboard accessory at night and want to see the keys a little better. Price wise, ZAGG is offering the PRO at $99 and the PRO Plus is an extra 30 at $129. Full details will be announced on the ZAGG website shortly. As for my recommendation, I haven’t tested the keyboards yet but having used a ZAGG Folio for my iPad, I know that it works extremely well so all I can do at this point is recommend you look out for reviews in the coming weeks which I will assume they will be good.